Rarely available end unit in highly sought-after Coral Cove! Remodeled kitchen includes quartz counters, breakfast bar, glass tile back splash, SS appliances, new flooring and new lighting, faucets, and fixtures. This spectacular home is light and bright with dramatic vaulted ceilings in the spacious dining room/living room. Walkability is terrific with shops, restaurants, and parks, and is just minutes from the beach. Located in the highly acclaimed Del Mar Union school district. See supplemental., Rarely available end unit in highly sought-after Coral Cove! Remodeled kitchen includes modern quartz counters, breakfast bar, elegant glass tile back splash, stainless steel appliances, chic new flooring and bathrooms feature new lighting, faucets, and fixtures. This spectacular home is light and bright with dramatic vaulted ceilings in the spacious dining room/living room combo, also featuring a cozy brick fireplace and upgraded plantation shutters. The family room opens to the inviting, private patio perfect for enjoying an outdoor meal with friends and family. The 2nd floor offers the luxurious master suite with grand vaulted ceilings, two guest bedrooms and full bathroom. The 2-car garage attached garage with plenty of storage space features direct access. Coral Cove offers resort styling living with beautiful landscaping throughout and fantastic amenities including tennis courts, pool, spa, BBQ, clubhouse and plenty of guest parking. Walkability is terrific with nearby shops, restaurants, and parks, and Coral Cove is just minutes from Torrey Pines and Del Mar beaches. 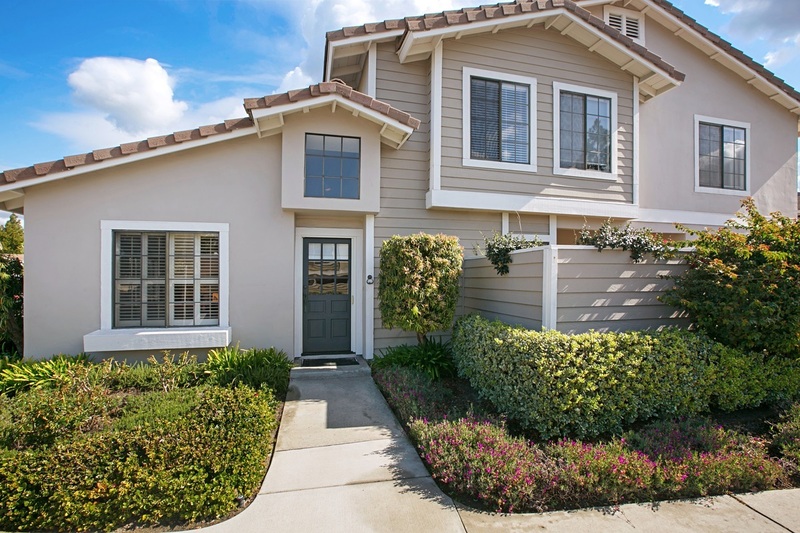 Located in the highly acclaimed Del Mar Union school district, makes this home A MUST SEE!